Salman Khan Goes All Gun Blazing in Tiger Zinda Hai New Still. Here is presenting all new movie still from upcoming Bollywood biggie Tiger Zinda Hai starring Salman Khan and Katrina Kaif. 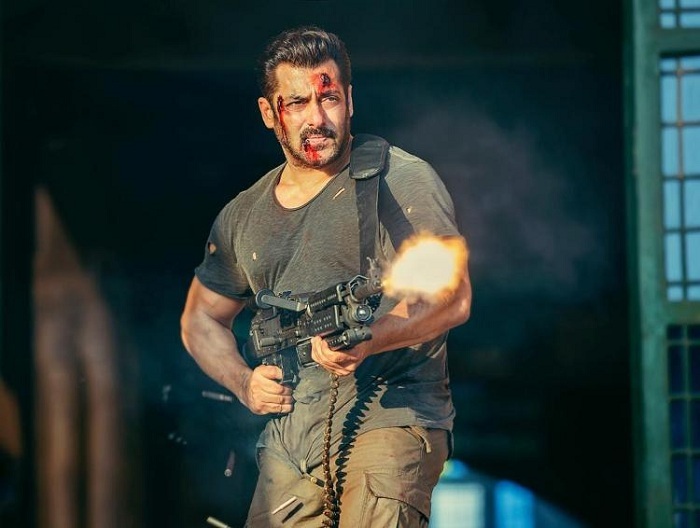 Salman Khan goes all guns blazing in this epic still from the film. TZH is slated for release on 22 Dec, 2017 and expect tsunami at ticket counters at the time of its release. Film will take box office by storm. Film trailer is expected to get release in few days time. It might happen as early as inside first week of November, 2017. Tiger Zinda Hai is a sequel to Ek Tha Tiger. ETT shattered every record at the time of its release. In fact it become the first film to recover over 100 crore distributor share from India alone. So, will TZH be a new benchmark at box office? We have simply no doubt on that. no doubt the action will be like never seen before and when Bhai does it then it becomes never done before. I am glad that Golmaal4 is doing good business. Now atleast Tiger will have a nice breakfast!